After my last post raving about pens, I thought I’d share a new medium I’ve been using recently: sharpies. I’ve seen some sharpie art on tumblr and they looked awesome! 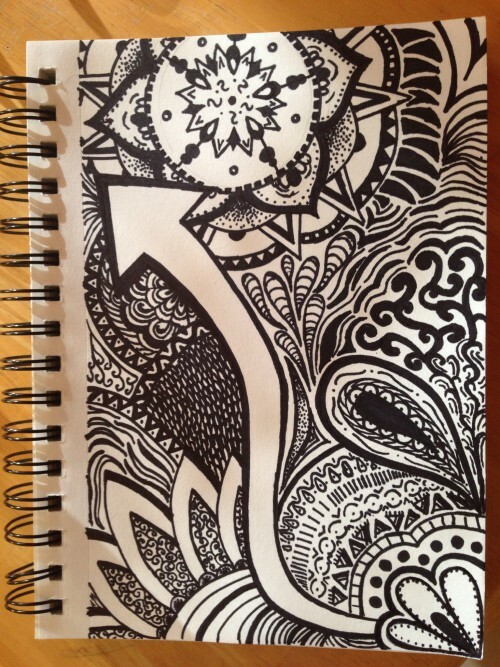 Sharpie art is all about pattern and texture. Every mark is bold, dark, and [the opposite of subtle]. It’s like you’re shouting at your paper when you draw with sharpie. The fun thing about sharpie art is that you don’t have to know what you want to draw beforehand. You can play with different patterns and see how they all come together. Hey there, sorry for the delayed reply – still getting the hang of WordPress and the notifications. Thank you so much! I did not hire anyone, it’s actually just one of the free themes on WordPress! I think its called Penscratch. I’m glad you like, and thanks for stopping by!